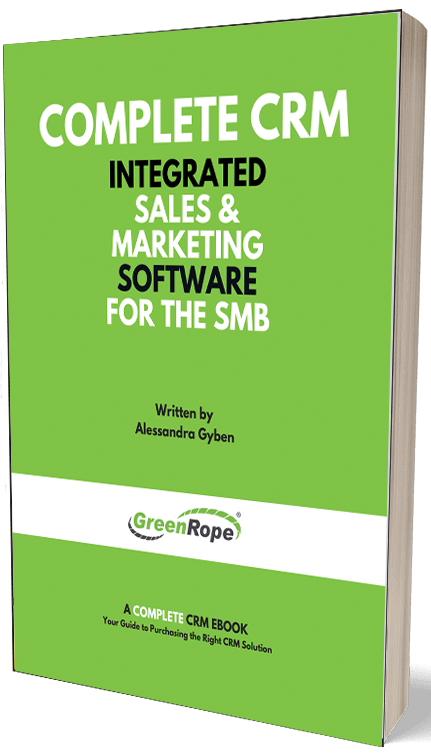 As I am sure you know, GreenRope is a powerful sales and marketing tool. Our many features, when used correctly, will help you close more deals, develop better relationships with your customers, and deepen your brand’s footprint. So, to get you up and running, here are 5 sales tools to implement today. Workflows are an absolute necessity if you are a salesperson. Workflows allow you to setup a series of activities that you must follow throughout the sales process. They keep you on track, simplify your strategy, and regulate your follow up. To setup a workflow, simply go into your CRM in the CRM Activities tab. Read more about the benefits of workflows and how to implement them into your strategy. If you are in a Contact’s record, you will see a button in the bottom right hand corner labeled, ‘Send Personal Email.’ This is a valuable tool, because 1) it lets you send emails to your contacts right from within the CRM, and 2) it allows you to view if the recipient opened or clicked on that email. Remember, ‘Send Personal Email’ can be a part of your workflow and will send out automatically if you set it up. (Refer to the workflow above). Tip: Create templates that you can easily load and send off to your contacts. To create a templated email, simply go into Communicate > Email and create your email. Once you have created your templates it is easy to load them and send them off. Not everyone is at the same stage in the buying process, and you are not a mind reader, so lead scoring helps us determine which of our leads are more interested than others. To setup lead scoring, simply go into Contacts > Lead Scoring and start to give points to both Activities and Demographics. This doesn’t take long and will really help you gauge how engaged your contacts are. To make lead scoring even more effective, we have added Lead Scoring Automation. What does that mean? That means that if a contact hits a certain number of points demographically or behaviorally, a workflow is triggered. Again, you decide the workflow, but this helps you to systemize your follow up when contacts are active in the buying/research process. Realtime website alerts is a great tool to strike while the iron is hot. These alerts will let you know when a known contact is perusing your site, and give you details on the pages they are visiting. This sort of information gives you, as a salesperson, a lot of power, as you can follow up with them immediately with relevant content or information based off of the pages they have visited. To setup website alerts, you will first need to put the GreenRope tracking code on your site. Simply go into Website > Tracking > Code. Embed that code onto all the pages you would like to track. Once you have setup tracking, go into Website > Tracking > Automation. Scroll down to Website Alerts and set the amount of points your contact must reach to trigger an alert. Tip: You can set page points under Website > Tracking > Pages & Scores. Give each of your tracked pages a score (based on how relevant that page is in the buying process). For example, the Homepage might only be one point, but visiting the pricing page might be worth more, perhaps 3 points. You know your business, so set the points according to which pages hold more weight in the buying process. GreenRope’s Hot and Cold Contacts feature is pretty cool, and another extremely useful tool for sales people. Hot and Cold Contacts let you know who your hot leads are and who you have not been in contact with in a while. These are the contacts who have taken significant action on your website, emails you have sent, CRM activities and more. Contacts are scored based on how you setup your lead scoring and page scores. For example, if a contact visited your pricing page, as well as opened and clicked on an email you recently sent them, they will have probably earned some points and therefore will be considered a hot contact. And you know what it means if you have a hot lead…don’t let it burn out. Cold Contacts are exactly the opposite of Hot Contacts. These are contacts that have not engaged with your brand, and those who have not had any recent CRM activities. Use this to see if there are people that you should be following up with or to circle back and maybe schedule a follow up. There is so much more that your GreenRope account can do, but these 5 features you can implement today and watch them work for you tomorrow.